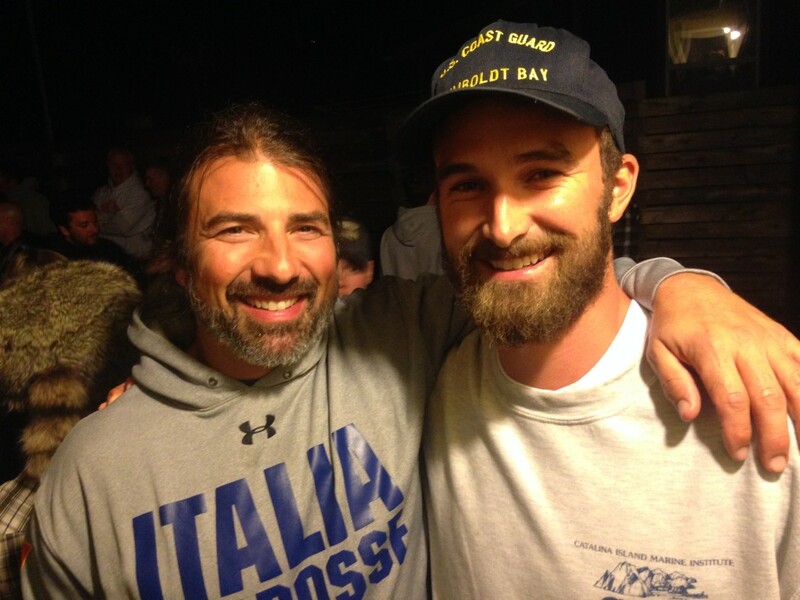 Anthony Silvaggio and Dylan Rode pose after being inducted into the Humboldt State Men’s Lacrosse Hall of Fame on Oct. 3, 2015. 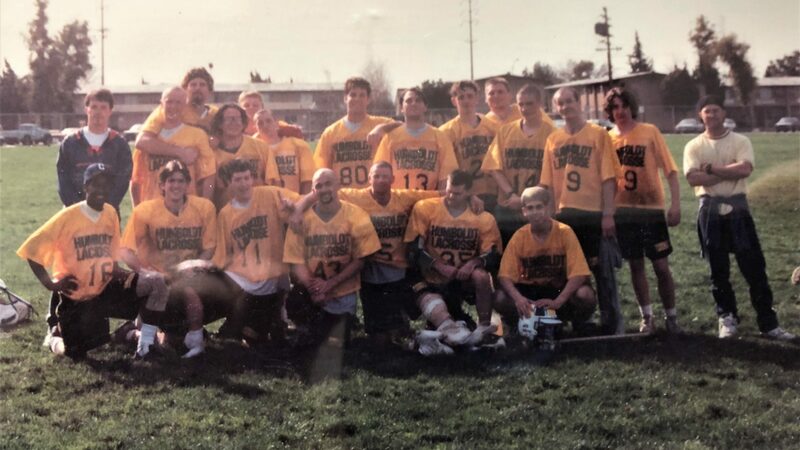 At a quiet, intimate gathering during Alumni Weekend, the Humboldt State men’s lacrosse team inducted its two newest members into the Hogs Hall of Fame. The night’s initial inductee was Dylan Rode, Humboldt State lacrosse’s first MCLA All-American. Rode, a Humboldt County native, had never picked up a lacrosse stick before college and attributed much of his success to the Hogs’ second inductee — HSU head coach Tony Silvaggio. Silvaggio, who briefly played at HSU in the 1990s while earning his masters in sociology, has been the head coach since 2007. Since then, he has taken a loose group of club players and shaped them into a team, helping produce three MCLA All-Americans along the way. Hall of Fame player, coach and team founder James Kircher and 1993 Hogs Hall of Fame attack and co-founder John Mahoney made the announcement after the 2015 HSU alumni game on Oct. 3. This year’s game was played as a memorial to former HSU coach and Hogs alum Mark Doodah, who passed away in October 2014.